Do you manage drought? Or is it managing you? 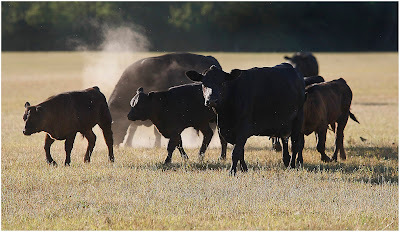 Ranchers: What would you give to know 30, 40 or 60 days ahead of time that your livestock herd was going to run out of grass? Would you give 1½ days of your time? Would you like to learn a totally unique approach to drought management that has never been available before? Then this workshop is for YOU! Mark your calendar for Tuesday and Wednesday, December 11 & 12, 2012 and plan to attend a unique and comprehensive Managing Drought Workshop series in Wray, CO. This workshop series begins with a session Tuesday afternoon December 11 and a separate session Tuesday evening. A final session on Wednesday, December 12 will wrap up the series. Anyone may attend any part or all of the workshop sections. There is no registration fee to attend the workshop series but pre-registration by December 5th is required to insure your meal. Meet Matt Stockton on Tuesday afternoon at 2 p.m. at the Wray City Hall. Registration will begin at 1:30. Matt is an economist with UNL who has a high energy entertaining style that will make this subject understandable and enjoyable. He will lead us through the thought processes of drought and the value of understanding the impact of the different choices on the ranch business using a tool known as the “Calf Cost Cow-Q-Lator”. One of the hardest things to do is to know that a drought is happening. This is where the Cow-Calf Cost Cow-Q-Lator can be helpful. This Excel spreadsheet helps you look at your expected profit (or loss) given current and expected conditions. Variables in this tool include but are not limited to, hay and range cost, amount of feed fed, calf weaning size, and price. The spreadsheet results give the profit estimates ranging over 500 possible outcomes given producer supplied numbers. Attendees will go through an example using this worksheet as a group. This example will be reflective of attendees local conditions and prices. This tool is available on the web as a free download. After a provided dinner, the workshop series will continue at 6:30 at the USDA Service Center with an introduction to various web resources led by Pat Reece. Pat is a highly sought after speaker who was a research scientist and range specialist for many years with the University of Nebraska Panhandle Research and Extension Center. Pat will explain why ranchers should know how to use website resources to gain information vital to making informed drought plan decisions. Attendees will have hands on opportunity with each of the websites so they can go home and use them. Computers will be available, or you may bring your own WiFi ready laptop. The Service Center is located near the Sandhiller Motel just north of the railroad tracks off of Hwy 385. How much moisture do we need? How do I decide how many animals I can run next summer? Wednesday’s workshop will empower attendees to take drought ‘by the horns’ by making a drought plan for their ranch. Plan to attend this workshop series whether you own rangeland and cattle, you are a landlord who leases range, or you are leasing the range for your cattle operation. The youth are particularly invited to attend. For more information or to register, go to the Yuma County Conservation District website at www.ycconservation.com or email Julie.Elliott@co.usda.gov. If you prefer to talk to a live person, call 970-332-3173 ext. 3 between 7 a.m. and 4 p.m. MST. You may also call anytime to leave a message and receive a return phone call. Pre-registration by December 5th is required to insure an accurate count for meals. This workshop series is sponsored by the Yuma County Conservation District and the Natural Resources Conservation Service. CLUB 20 Fights back on setback. Agri-Women tour Colorado Ag Industry!